Doctors all around the world regard obesity as a global health threat. In fact, almost 80% of obese adults have high blood pressure, diabetes, elevated blood-cholesterol levels, coronary artery disease or osteoarthritis. Nearly 40% have more than one of these conditions. The financial cost of these diseases is staggering. Unfortunately, the number of overweight people around the world has climbed to 1.1 billion - and that number is quickly rising! Why is weight gain on the rise? The number one cause for weight gain is taking in more kilojoules than are expended. Most people are fairly active when they’re young, and activity generally slows as the years pass. Sedentary jobs, modern conveniences, tight schedules, and lack of interest in exercise contribute to this pattern. Generally, metabolism slows as age increases, while activity usually decreases. Another factor in weight gain is food availability. Modern day supermarkets feature every imaginable food a person could want. But time being in short supply causes many to opt for high-sugar, high-fat, high-sodium convenience foods, often at the expense of nutrition and health. Add to that the enticements of fast-food establishments to “super-size” already large portions of unhealthy foods, plus busy schedules that favour take-out and pizza a little too often, and you have a recipe for disaster! Excess weight carries with it some serious physical and emotional health threats. Whether you’ve put on a few kilograms over the years, or have struggled with your weight all your life, your weight gain is associated with greater health risks like high blood pressure, diabetes, heart disease, cancer, stroke, gall bladder disease, arthritis and early death. Besides the health risks, weight seriously affects self image, ensuring that overweight people suffer considerably more often from low self-esteem than those who fall within standard weight levels. It’s hard to feel good about yourself when you don’t like how you look, plus it’s tough to do the things you want to do when you don’t have the energy to do them. Weight has a way of “creeping on” over the years from taking in more kilojoules than you burn. In fact, most people are fairly sedentary, which can easily add 5 kilograms or more to your ideal body weight every decade of your life. Furthermore, for many, their body has been “taught” to eat a certain way over the years, developing habits that encourage weight gain without even realising it. By choosing certain foods, which might even be considered relatively healthy but are, in fact, high in sugars or starches (carbohydrates), the body is automatically set-up for the “roller coaster” effect of uncontrolled glycemic response, as blood sugar levels go through peaks and valleys throughout the day. The key to losing weight successfully stems from an in-depth understanding of how the body produces, uses and controls glucose. The body recognises blood glucose as both an essential partner of energetic health and a potentially lethal adversary as well. The reason is that glucose is the basic carbohydrate energy unit that circulates through the bloodstream to our cells. However, it also has the potential to damage that same circulatory system if levels remain too high for too long. Thus, when blood glucose levels exceed certain predetermined upper limits, the body needs to lower those levels rapidly. To do that it secretes insulin, which enters the bloodstream and causes glucose to be lowered. Whenever a high glycemic response event occurs, blood glucose levels exceed the “controlled glycemic response zone” monitored by the body’s biochemical guard posts. When blood glucose value exceeds the upper limits of this zone, the body responds by secreting insulin. Frequently this causes a glycemic “roller coaster” as blood glucose levels move from high (hyperglycemia) to low (hypoglycemia). For many people, this occurs repeatedly throughout the day, month after month, year after year. The first signal causes the body to go into fat storage mode. As the insulin secretions cause glucose to be cleared from the blood, the body must do something with it. It can’t just leave the glucose lying around somewhere. It is left with no choice but to convert it to fat and store it. The second signal causes fat utilisation for energy purposes to be curtailed. With blood glucose levels running high and fat storage signals occurring, the body knows there is no need for more energy to be provided and thus shuts down fat utilisation for energy purposes. If you visualise this as a warehouse, materials would be coming in at a more rapid pace than they would be leaving. As you cannot stop this process, the warehouse has no choice but to expand. In other words, with your body as the warehouse, you leave it no choice but to grow larger with stored fat. The majority of the foods people have come to crave are insulin-inducing carbohydrates - and many foods that have long been considered healthy, like white rice, most breads, baked potatoes and even pasta, can have a high glycemic response. On the other hand, non-insulin-inducing carbohydrates actually help the body maintain a steady blood sugar level and do not create a strong glycemic response. The brain, nervous system and muscles need blood glucose for energy. The body gets most of its glucose from carbohydrates in the diet, and it can also manufacture glucose on its own. Most people eat far more carbohydrates than they need to maintain a normal blood sugar level. The total amount of glucose in the blood of a healthy adult is about 5 grams (approximately 1 teaspoon). Compare that to a regular 340ml soft drink, which packs about 35 grams, or 7 times that amount of sugar. Now consider those jumbo sized 1 litre drinks sold at the movie theatre and fast food outlets, with their unbelievable 110 grams of sugar! See the problem? If you’re caught in the insulin trap, GR² Control will set you free! With GNLD’s unique diet program, you can teach your body to eat in such a way that your energy requirements are met without falling prey to the glycemic roller coaster effect and insulin trap. The GNLD Scientific Advisory Board (SAB) and our Global Science Network (GSN) developed a state-of-the-art weight loss program based on breakthrough findings regarding the way the body uses and stores energy. Understanding that the glycemic response of the human body is a critically important process in energy utilisation, GNLD created GR² Control, the scientifically engineered, nutritionally-balanced weight loss programme that helps the body to process food and nutrients the most effective way for its best use. 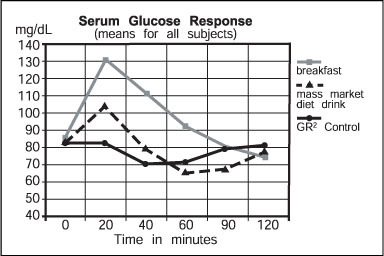 “GR Control” stands for Glycemic Response Control. The “2” exponent represents the exponential benefits for long-term health by following a low glycemic response diet: everything from lower risk of heart disease, diabetes and cancer, to lower blood pressure, less chance of stroke, and more! It may even add years to your life! Using a multi-phase strategy, GR² Control helps to instil proper eating habits using the right kind of low-glycemic-response foods, all supported by the three unique weight loss programme products. The programme will help “teach” your body to take in the kinds of nutrients it needs in optimum ratios, then utilise them efficiently. With GR² Control, you gain control of your eating habits and achieve your weight loss goals quickly, comfortably and safely. This system focuses on the body’s own natural weight loss mechanisms. 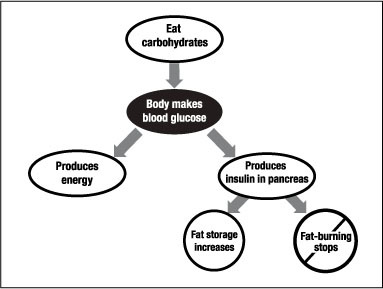 By helping the body to avoid the insulin trap, the fat- burning doors stay open and the fat storage doors stay closed. Additionally, while training to eat foods that maximise nutrient utilisation and energy output, the body becomes a fat-burning machine in preparation for a lifetime of proper weight and good health! Re-programmes the biochemical signal control network. By consuming a healthier ratio of protein, fats and carbohydrates, you can rebalance macronutrient intake to help control the glycemic response. GNLD’s GR² Control Meal Replacement Protein Shake helps rebalance macronutrient intake with it’s specially formulated 2-to-1 ratio of protein to carbohydrates. Additionally, this delicious and nutritious shake delivers the nutrients your body needs to function at its optimum level, while helping to protect lean body mass. Hunger and satiety (the feeling of fullness or over-fullness) are controlled by a complex network of neural, physical and psychological factors. Activating the “satiety signals,” which tell the brain the body’s satisfied, can help lessen food intake. Receptors in the digestive tract “learn” to feel full. To stimulate the central nervous system naturally, GR² Control Appetite Reducer creates a sense of fullness which triggers satiety signals to the brain, achieving the feeling of fullness on less food. In this fashion, Appetite Reducer works to re-programme the biochemical signal control network by re-setting satiety signals. Additionally, the fibre it contains plays an important role in carbohydrate metabolism by delaying gastric emptying and slowing the release of carbohydrates into the bloodstream, thus helping to minimise insulin response. Components in certain foods can support the body’s natural energy production process. Plus, specific combinations of herbs also enhance energy levels and increase the body’s metabolic rate. GR² Control Thermogenic Enhancer contains a specific combination of herbs known to enhance energy levels and increase the body’s metabolic rate, which burns more fat, without the use of potentially harmful CNS (Central Nervous System) stimulants. Human Clinical Trials. GR² Control has been tested in a leading research facility to prove that it does help the body to control its glycemic response. Subjects were given a serving of GNLD’s Meal Replacement Protein Shake and blood samples were taken afterwards to determine the glycemic response the body produced to process the drink. A mass market competitor’s weight loss drink and a typical American breakfast were also tested in the same manner. When the results were compared, GR² Control’s response was consistently more stable and lower than all of the other products that were tested. “Real World” Human Trial. Tested in “real world” conditions, the GR² Control Weight Loss Programme was used during an 8-week weight loss trial with over 50 volunteers. Results of the trial were amazing: the group lost a total of 274kg in only 8 weeks! In fact, one volunteer lost 16.8kg. during the trial period. Volunteers reported feeling more energetic and not hungry while on the programme. Even more importantly, they reported that the program was easy to live with on a day-to-day basis and provided a pleasant variety of meal recommendations. Published Scientific Result. Results of our human clinical trials are soon to be presented by SAB member, Dr. Arianna Carughi, at a national scientific symposium and will then be targeted for publication in a peer-reviewed scientific journal. GR² Control puts the science of Glycemic Response to work for you! With GR² Control, the GNLD Scientific Advisory Board has taken the science of healthy weight loss to a new level. The whole programme focuses on and utilises the latest understanding of the glycemic response to lower insulin secretion demands, keeping you off the Glycemic Roller Coaster and out of the Insulin Trap. It provides sustained feelings of satisfaction between meals, maintains balanced and controlled energy levels over longer periods of time, and keeps “fat storage doors” closed and “fat-burning doors” open. Biochemical synergy. GR² Control products are specifically formulated to have a synergistic effect on the body’s mechanisms that control and influence hunger, satiety, fullness, and fat storage and utilisation. When all of the GR² Control Weight Loss Programme products are used together, they transform your body from fat storage mode, to fat-burning mode. Leading-edge science is the basis for the entire GR² Control programme. From our unique product formulations, to our exercise and lifestyle suggestions, GR² Control is an incredible programme that can help anyone who wants to lose weight, improve their health, and feel better. Formulated with supervision and input from the Scientific Advisory Board and the Global Science Network, GR² Control is truly on the cutting edge of weight loss science. Put the power of Glycemic Response Control to work for weight loss - not against it!